This guide helps with understanding and planning the research process. The Scott, Foresman handbook for writers by John Ruszkiewicz, et al. 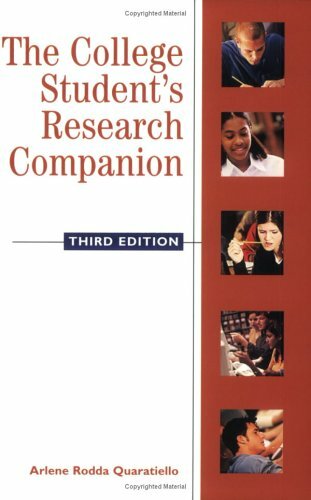 For the extra dilligent, here is a list of books that can provide in-depth help with completing the research assignment. Research can be an ardous and confusing process, especially if you are not very familiar with it. This guide will help explain the research process and help you manage the many steps involved in performing research here at the University of South Carolina. This guide is broken into sections that address the different steps in the research process. You may follow them in order or go straight to the areas that are most relevant to your needs. If you still have questions or if you just work better with one-on-one instruction, then please come to the Reference desk at the Thomas Cooper Library or contact us through Ask A Librarian. You may also make an appointment for a personal research consultation with a librarian. Want to really get the most out of your research? Check out the Award for Undergraduate Research. You could win $$$!